Geoff Barrow is known to most for his work with Portishead, though the British musician has done film work and delivered a couple of incarnations of his side-project BEAK>, as well. He also founded a label called Invada Records back in 2001, and now he's revealed a mysterious new project on it. Following Portishead's take on an ABBA track, Barrow has shared a cover of Nena's Cold War anthem "99 Red Balloons." It arrives accredited to the Invada Allstars — whose lineup is being kept anonymous — and musician and journalist Anika. It was recorded at Invada Studios in Bristol, UK, and is available now. 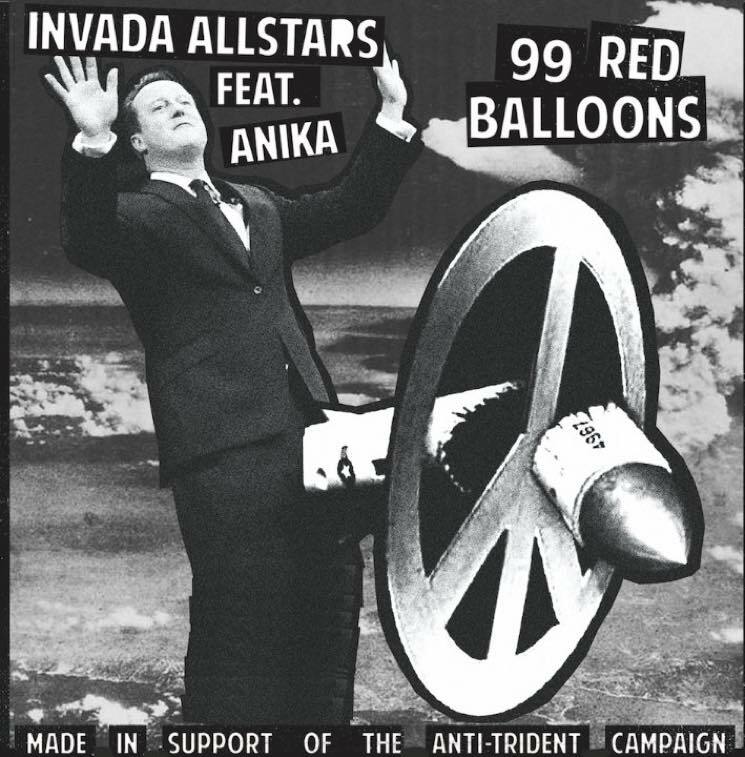 The song is being released as a means of raising awareness about the Stop Trident protest taking place in London on February 27. Give it a listen below.